Maribor under the hail of bombs The death camp (available only in Slovenian language) Price: 30 EUR, discount for more copies Today, it is quite clear that there was an all-out bombing, first German and then Allied, practically without a real impact on the outcome of the war. The suffering of civilians in cities as well as flight crews and innumerable victims were in vain. In the years of the worst bombings (1944-1945), German military production increased several times, and the effects of bombardment of cities were negligible for the results of military operations. Sign up for our e-mail newsletter. 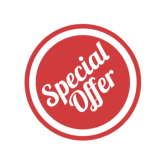 You will be informed about the new features in our offer and special promotions! Enter your e-mail address!